Who doesn’t love a hand-held meat pie? They can be made in advance, you can freeze them then bake them off when you’re ready. 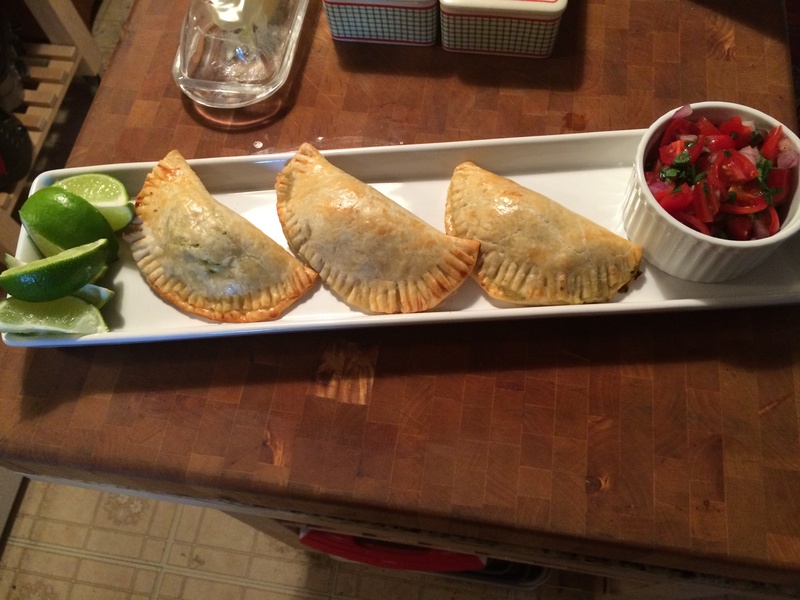 My Chicken And Poblano Empanadas are so delicious, tender and flaky pie crust filled with bold flavorful ingredients, YUM! In this post, I’m taking some help from my local grocery store. I’m using a rotisserie chicken and store-bought pie dough. Rotisserie chicken is one of the best items available at the grocery store. The possibilities are endless. Now when it comes to pie crust, making your own is always the way to go but if you’re short on time there are great store-bought pie doughs available in the refrigerated section of your grocery store. I’ve posted a link at the bottom for my Homemade Pie Crust which can be made in advance and a link for my Pico de Gallo. In a large stockpot, place tomatillos, seeded Poblanos, a peeled large white Spanish onion, whole peeled garlic cloves, and seeded Fresno chilies. 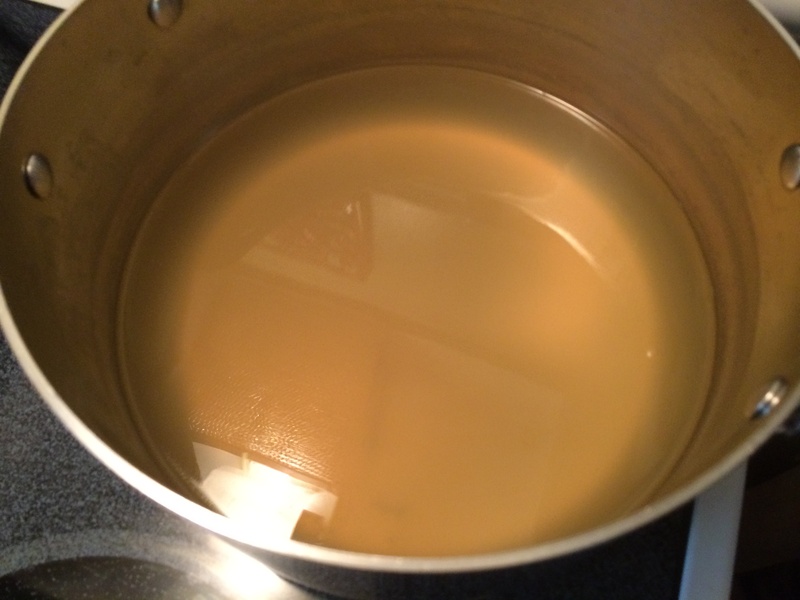 Cover the vegetables using 1-quart of unsalted chicken broth and the rest water. Turn the heat to medium-high, bring the vegetables up to a boil, (lower the heat) reduce to a simmer, cook for 20 minutes. While the vegetables are simmering on the stove remove debone the rotisserie chicken. Next, using your hands, shred all the chicken then transfer into a large mixing bowl. The tomatillos will have turned olive in color and the peppers, fork tender. With a slotted spoon, fish out the peppers and chilies removing their tops and seeds before placing them into the food processor. Take the slotted spoon to move the rest the veggies from the pot adding them to a food processor. 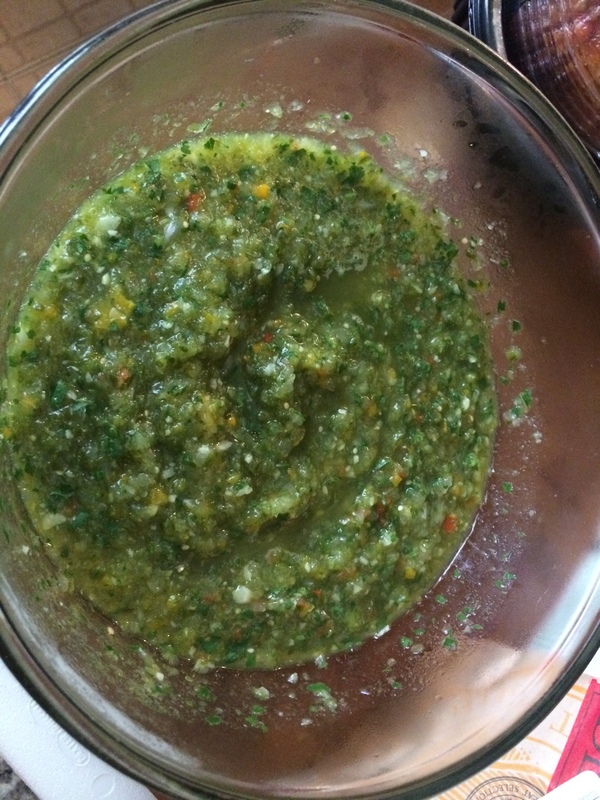 Add 1 Kosher salt, cilantro, lime juice, and a small ladle of the cooking liquid (add more if needed). Process until smooth. 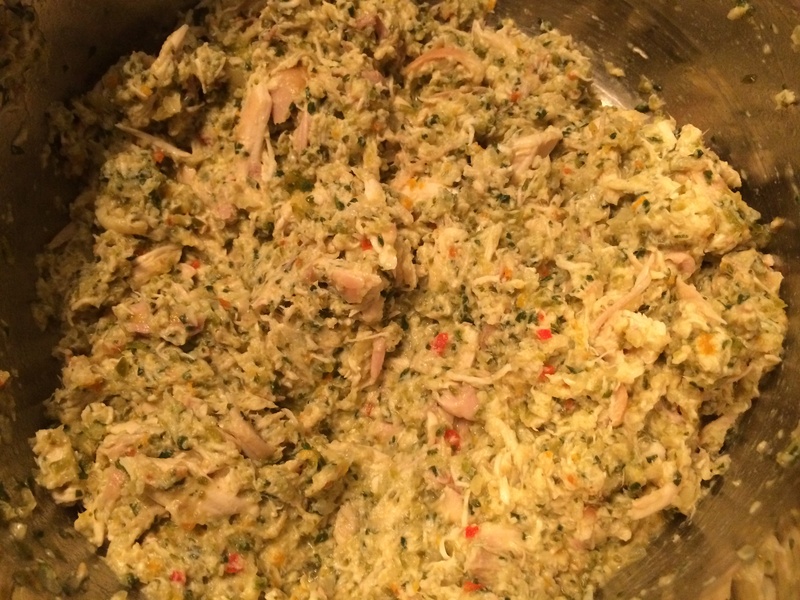 Pour the Poblano pepper mixture into the bowl with the shredded chicken. 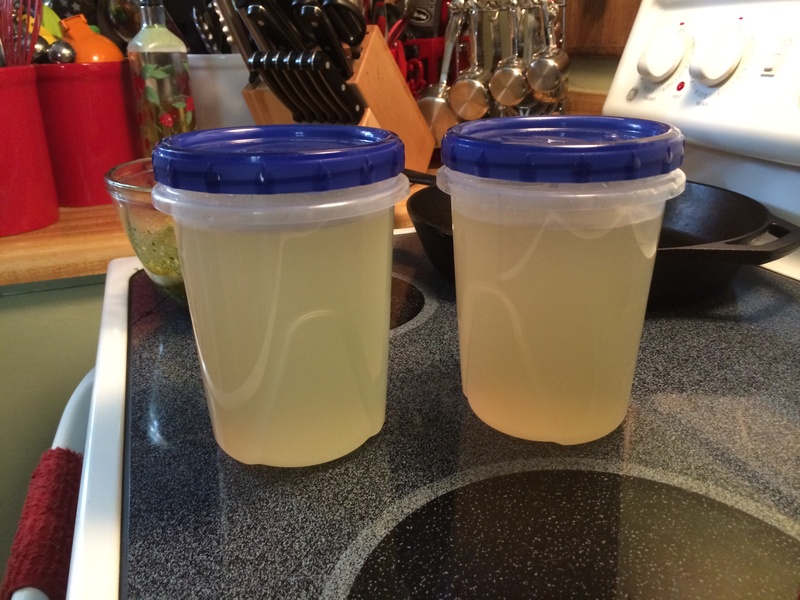 Note: The leftover cooking liquid (vegetable stock) allow to cool completely then place into labeled sealed containers. Store in the freezer. Preheat the oven to 450-degrees F.
Here I’m using a lid that measures 6-inches in diameter. 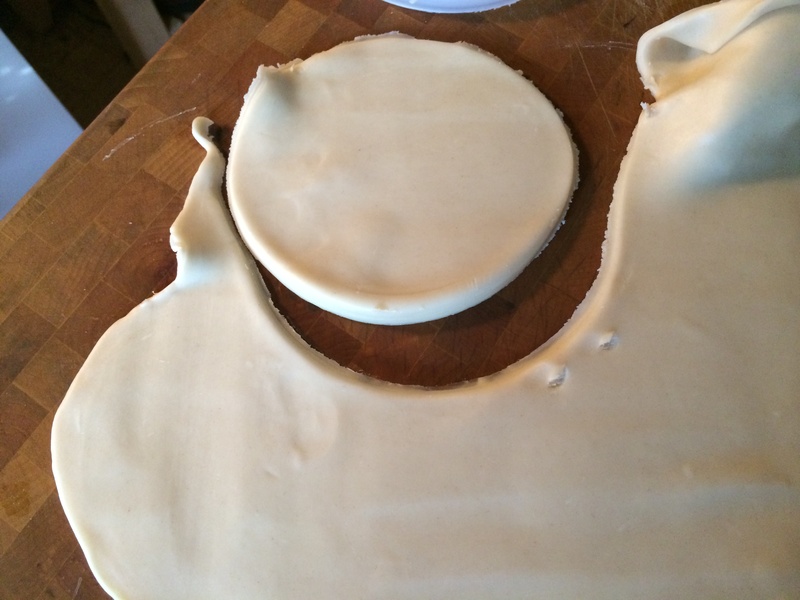 Cut out 6-inch circles out of the pie dough. Each circle of dough yields 4 circles. 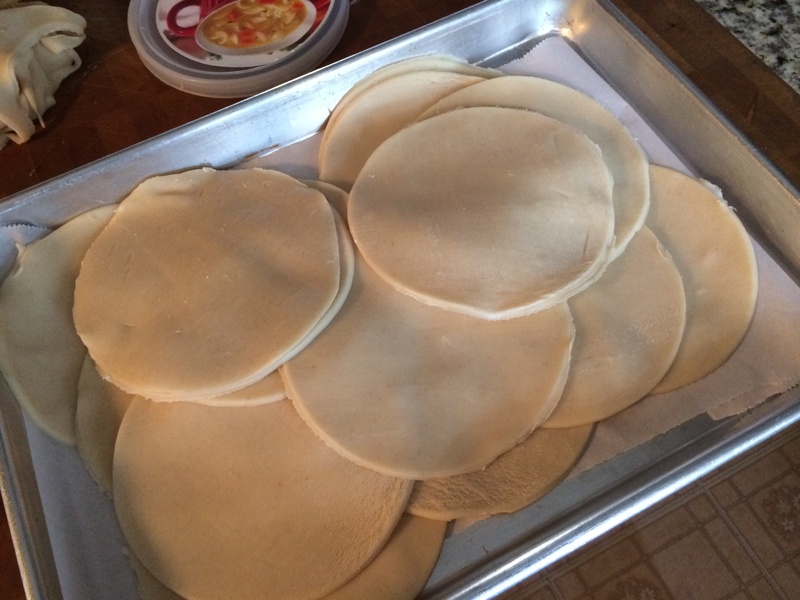 Next, take the scraps of dough that are left and roll that out to 1/4-inch in thickness. The leftover dough will yield another 4 circles. 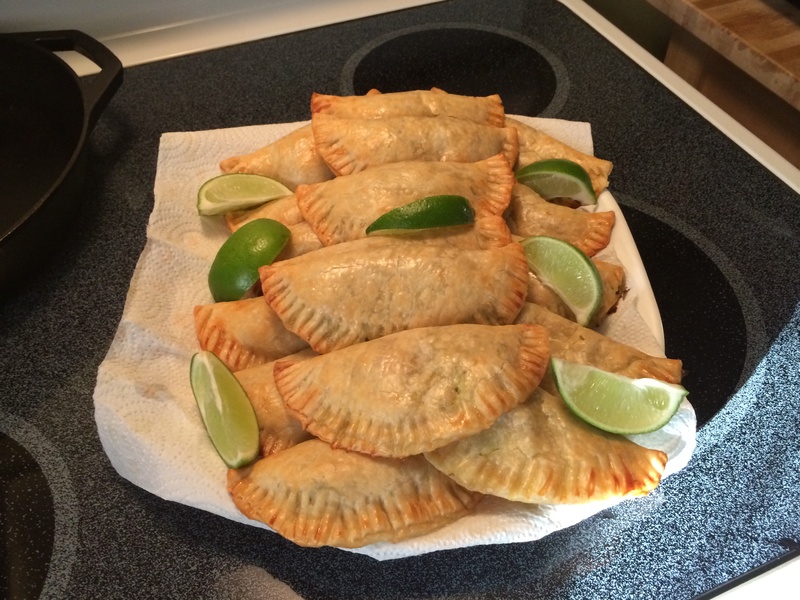 When it comes to Empanadas, you want to make as many as you can because they will get eaten. Place a good tablespoon in the center each circle, brush around the outsides of the circle with the *egg wash. fold the pastry over to form half-moons. Press the edges firmly (overfilling will cause dought to tear and not seal.) Crimp the edges with a fork. 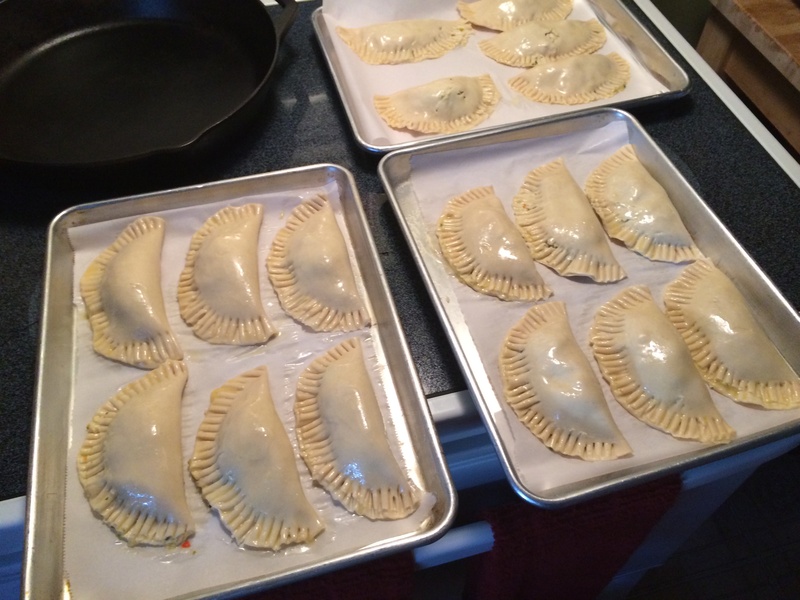 Lay the empanada onto a rimmed baking sheet lined with parchment paper. Repeat this process until all the filling or the dough circles are used up. Brush the outsides of the Empanadas with more *egg wash. This will allow the pies to become nice and golden brown during baking. Bake for about 10-12 minutes or until golden brown. Let cool for 5 minutes before serving. I like to serve them with a side of Pico de Gallo. The Pico works well to cut through the richness of the Empanada. Tip: Unbaked empanadas may be frozen. Freeze on a baking sheet lined with parchment paper until hard. Store in freezer containers. Bake frozen; add an additional 5 minutes for baking time. *egg wash: 1 egg beaten with 1 tablespoon of water or milk.